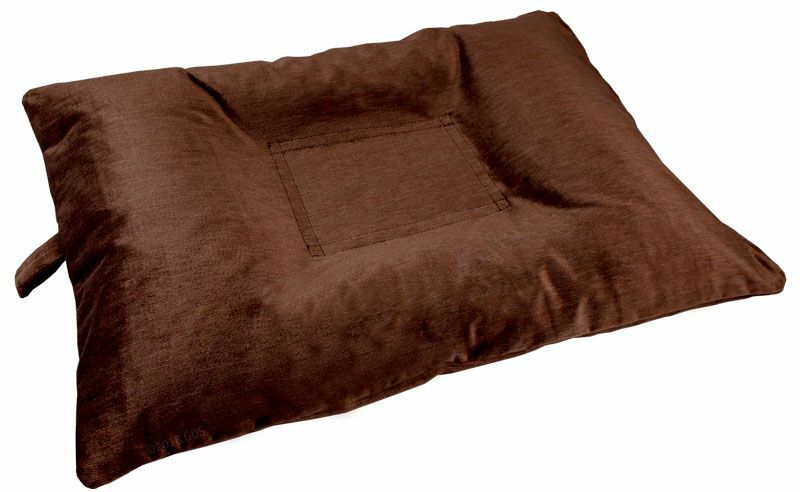 MEDIUM Bizzy Beds™ Dog Bed with Zipper -- Brown. $69.95. Prefer a MEDIUM without a ZIPPER-COVER? from Pro Trainer Robin MacFarlane. MY DOGS LOVE THEM. I'm amazed at how popular this design is with my personal dogs and dogs at the store. They gravitate to them, get right in there and nest right on up. BIZZY BEDS are designed the same way dogs naturally make their nests. The "Natural Dog Den" design caters to your dog's natural burrowing instincts. BIZZY BEDS are made by hand in the USA from durable, high-quality materials and are easy to clean. My favorite thing about BIZZY BEDS is how popular they are with our dogs -- that's because of the design. BIZZY BEDS are designed the same way dogs naturally make their nests. Dogs are den animals and have the instinct to dig a burrow. BIZZY BEDS mimic the natural shape of a dog den with a lower interior and raised sides. When your dog gets into his BIZZY bed, he's gonna circle a few times, nest down in that little hole with his head and legs up, and curl up in the center. With regular pillow dog beds, dogs will naturally try and create a burrow. When they're over-stuffed, your dog is gonna have a hard time getting that lower center. They'll dig and they'll scratch and sometimes destroy the bed in the process. DOGS LOVE these BIZZY BEDS because they feel like they're inside a dog's den. "Medium Bizzy Bed -- Brown"
Product Rating: 5 out of 5-stars. 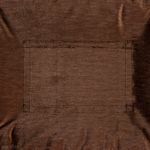 "Seem very well made and showing no signs of wear"
Great simple and comfy dog beds and priced reasonably. We have four and use them inside and outside for our 2 Springers. They were really helpful in teaching our puppy to go toplace and not annoy our older dog. Easy to wash,just throw them in washer. No need to unzip and remove a cover. Seem very well made and showing no signs of wear after about a year. "Dark Gray MEDIUM Bizzy Bed"
"Looks new after 1 yr with 2 big labs"
"Dogs love curling up in them for nap during the day or an all night slumber." I have a dog walking and home boarding business. The bizzy bed is always the first one to be occupied. The dogs love curling up in them for nap during the day or an all night slumber. "The best (dog bed) yet out of 5 dog beds"
Dog loves it,it's the fifth bed that I have purchased and the best one yet! Looks new after 1 year with 2 big labs. "It makes a nice little nest & the small is great for 20# puppy"
It makes a nice little nest & the small is great for 20# puppy. The 62# shorthair has even tried it a couple times! Have not tried to wash it yet. Product Rating: 4.5 out of 5-stars. 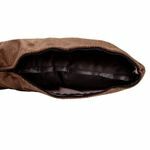 "LARGE Bizzy Bed with Zipper -- BROWN"
Product Rating: 4 out of 5-stars. Dimensions: MEDIUM 22" x 32" x 5"
Includes FREE Place training DVD! No risk to you. Your 100% Satisfaction is Guaranteed with our 30 Day "No Questions" Money Back Guarantee. Hassle-free returns & exchanges. Dogs are den animals and naturally have the instinct to dig a burrow. This is why they circle and scratch before laying down. Bizzy Dog Beds have a unique design that mimics the natural shape of the entrance to a burrow. Dimensions: 22" x 32" x 5"
BIZZY BEDS are designed the same way dogs naturally make their nests. The "Natural Dog Den" design caters to your dog's natural burrowing instincts. BIZZY BEDS come with a FREE TRAINING DVD -- "TEACHING THE PLACE COMMAND"
YOUR DOG WILL LOVE HIS DOG BED. Order yours today. 1. INSIDE DOGS NEED THEIR OWN SPOT. It's important for a dog's security to feel that they have their own place -- a spot they don't have to share with other dogs. Dogs really enjoy spending time in their BIZZY beds. That's important for inside dogs because they are going to spend a LOT of time there. 2. YOU NEED A PLACE TO PUT YOUR DOG WHEN THEY ARE IN THE WAY. YOU need a spot where you can put your dog that's out of the way WHEN HE'S BOTHERING YOU. A PLACE you can send him to his bed where he will STAY until you release him. Our "TEACHING THE PLACE COMMAND" training video comes FREE with every BIZZY BED. Professional Dog Trainer ROBIN MACFARLANE teaches you how to train your dog to PLACE -- to go to a defined spot and keep all four paws there until you release him and give him permission to leave. This video will teach you how to send your dog to his place and have him STAY there until you release him. Dogs are den animals and naturally have the instinct to dig a burrow. This is why they circle and scratch before laying down. Bizzy Pet Beds have a unique design that mimics the natural shape of the entrance to a burrow. BIZZY BEDS are made by hand in the United States from furniture quality materials so they are both DURABLE and EASY TO CLEAN. 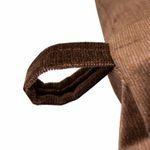 The outside material is heavy-weight furniture fabric. 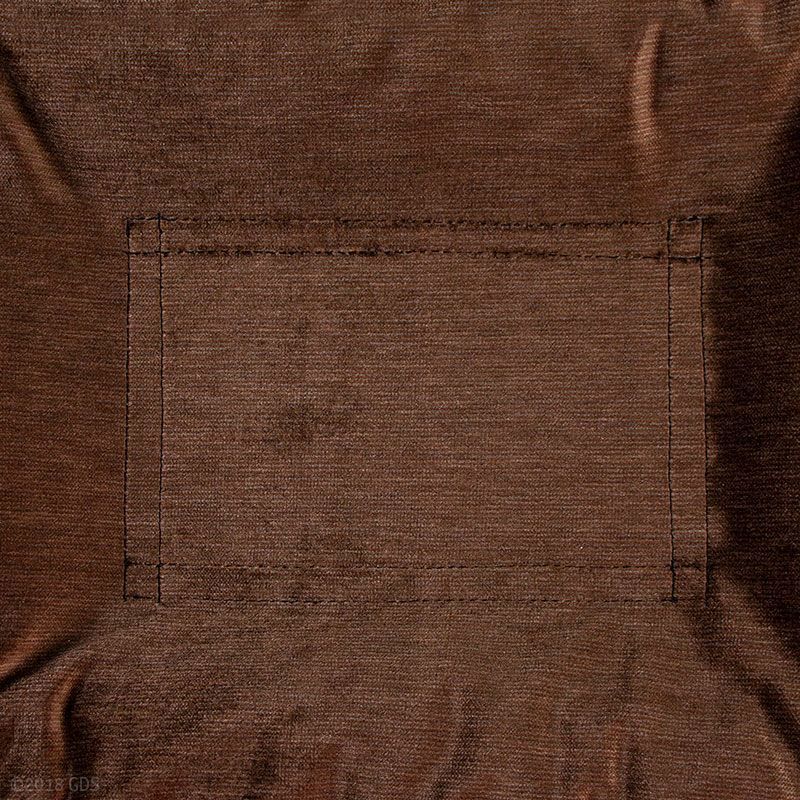 Seams are sewn using a SERGER which has five threads per needle which is INCREDIBLY strong. The interior is filled with shredded foam which means the bed is comfortable for your dog AND will maintain it's shape for years and not flatten out. It depends on both your available space AND the size of your dog. Make sure that it's big enough for your dog. 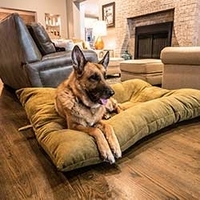 A slightly larger size gives your dog plenty of room to move around. SMALL beds are for dogs from 5-15 lbs. MEDIUM beds are for dogs 10-40 lbs. LARGE beds are for dogs 25-50 lbs. X-LARGE beds are for dogs 40-75 lbs. JUMBO beds are for dogs 60-125 lbs. ...AND shipping can be expensive, especially the larger sizes. To save you money we vacuum seal your bed into a bag and compress the foam. This makes a much smaller package and saves money on shipping, which means you pay less! Use water and mild laundry or dish soap. Dab the stain with soapy water using a clean cloth (avoid scrubbing). Remove excess soapy water using a clean wet cloth and pat dry. For heavier stains a pet-friendly upholstery cleaner can be used. For light soil wipe with a clean damp cloth. Remove the cover (on beds with a zipper). Wash cover with laundry detergent, dish soap, or your dog's non-medicated shampoo in the bathtub or with a hose. Squeeze out the excess water, then air dry. Wash with laundry detergent, dish soap, or your dog's non-medicated shampoo in the bathtub or with a hose. Once the shredded foam dries, it'll fluff back up like new! Country of Origin: Made in USA. GUN DOG SUPPLY - "Serving Hunting & Field Dog Owners Nationally Since 1972." Order online via Secure Server or call 1-800-624-6378 to order! GDS Warehouse, 17645 U.S. Highway 82, Mathiston, Mississippi, 39752 USA. All words & pictures are copyright © 1997-2019, Gun Dog Supply or their respective owners. All rights reserved. Buy online with confidence when you order discount retriever hunting dog supplies, canine training equipment, k-9 accessories, and training products for your gun dog, bird dog, or working retriever. Your on-line purchase is protected through secure server ordering. Review our 100% satisfaction guarantee. Shop our canine closeout items, best bargains, k9 discount prices, good deals, cheap stuff and other values for sale. Compare our products in reviews, reports, comparisons, and buyers guides.